عندما تزور بورت دوجلاس, ستشعر أنك في بيتك في Marina Terraces الذي يقدم لك إقامة متميزة و خدمات عظيمة. يقع مركز المدينة المثير على بعد 0.1 km فقط. إن سهولة الوصول من الفندق إلى المعالم السياحية الشهيرة الكثيرة في المدينة كمثل Funstuff by Lynda, اكوموديشن بور دوجلاس, Whileaway هو استثنائي بحد ذاته. يقدم Marina Terraces خدمات لا غبار عليها وكل أشكال اللياقة وحسن الضيافة اللازمة لإسعاد ضيوفه. تتضمن الميزات الرئيسية في هذا الفندق: واي فاي في المناطق العامة, صف السيارات, غرفة عائلية, جولات, خدمة غسيل الملابس. بالإضافة لهذا,تتضمن كل غرف الضيوف مجموعة واسعة من وسائل الراحة . بعض الغرف توفر حتى تلفزيون بشاشة مسطحة, اتصال لاسلكي بالإنترنت, غرف لغير المدخنين, مكيف هواء, تدفئة لإرضاء أكثر الضيوف تطلباً. يقدم الفندق خدمات رائعة كمثل مسار جولف - ضمن 3 كم, حمام سباحة خارجي, حديقة لمساعدتك على الاسترخاء بعد نهار طويل من النشاط والتجوال في المدينة. مهما كانت دواعي سفرك فإن Marina Terraces هو خيار ممتاز لإقامتك في بورت دوجلاس. Location was excellent about 1 min walk to the main street and 5 minutes walk to the beach. Manager was very helpful. Room was clean, lovely gardens would recommend especially if you have no transport. The unit was beautiful very clean with everything you needed for a relaxing break. 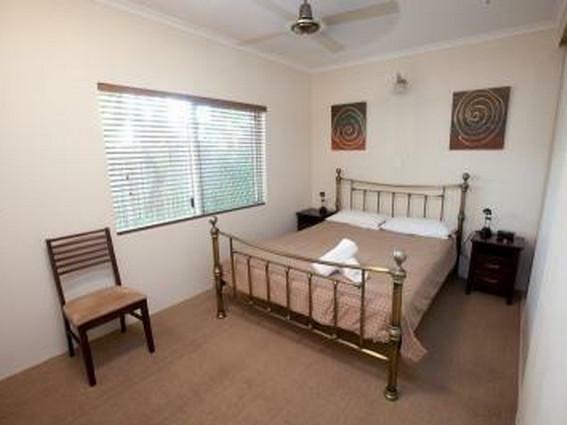 The unit was well appointed and recently renovated. The pool area was clean and well maintained. I will definitely stay here again. Great holiday. Very big flat screen TV, foxtel, great kitchen fit out with large fridge, dish washer & microwave. Loved all the extra kitchen condiments - vinegars, mustards, oils, paper towel also bathroom had sunscreen, toothpaste and a few more extra things you do not expect to find in rented accommodation. Also large video and book library to borrow from. We arrived and had to change our booking arrangements, which were handled efficiently and politely.Requests for Wifi information and top up coffee were done without hassles. We stayed in the Penthouse during our stay, and it was well worth the price! We had lots of space with 2 bedrooms and 2 baths, with rooftop bbq area. We had 2 couples in the house so this layout was perfect. I wish we could have stayed longer. Reception isn't 24 hours, so if you are going to be late, I would recommend calling as they left a key for us. The location was great, quick walk to the beach and right next to the main strip of shops and restaurants (P. Douglas is very small). We've been up here a few times for visits, and will definitely return to this hotel if possible. 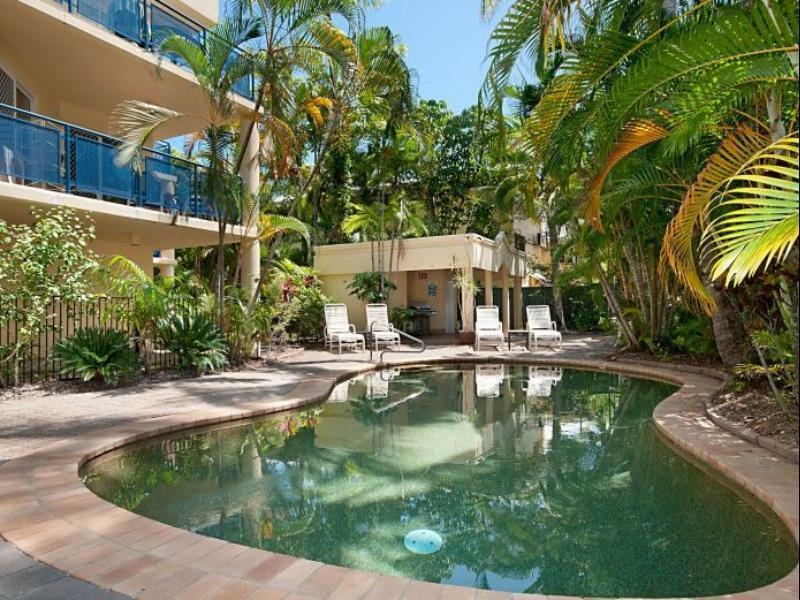 My partner and I have been to Port Douglas many times and this was, by far, the most enjoyable stay. It may not be fancy, but we had everything we needed or wanted. The highlights for us were the friendly staff and the immaculate rooms. I've got to be honest: our room was absolutely brilliant for the price: a two-bedroom apartment with a huge living area, two balconies and a private rooftop terrace. And all this for an unbelievable price. It was far and away the best place we stayed at during a *long* trip from Darwin to Sydney. The location is good as well. 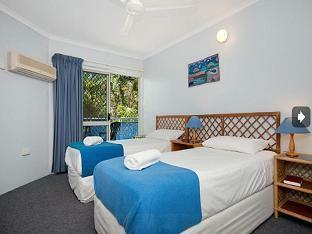 The place is just minutes away from both the main beach and the shopping centre. All in all, a great place to stay, and one we'd be happy to visit again.